Our hotel will be undergoing guest room renovations starting April 15 and are scheduled to end by October 1 2019. Thank you for your patience and understanding during our updates. The Hampton Inn - Suites Augusta West hotel in Georgia has 83 rooms 32 suites and the remainder is king or double beds. The Hampton Inn - Suites Augusta West hotel is located on the south side of I-20 1000 yards from Exit 194 on Dyess Parkway near the main gate of Fort Gordon a signal and medical center. The Hampton Inn - Suites Augusta West hotel is 4 1/2 stories built with block and stucco and monitored by surveillance cameras inside and parking lot. The Hampton Inn - Suites Augusta West hotel in Georgia has a large lobby with waiting room inclusive of breakfast area and large meeting room. While in Georgia the Hampton Inn - Suites Augusta West hotel has a business center with photocopier fax machine XP Windows computer with color printer and high-speed internet access. All floors of the Hampton Inn - Suites Augusta West hotel have ice vending and soda machines. The main floor of the hotel has coin operated laundry units. The ground floor has an exercise room. with treadmill stepper stationary bicycle and weight machine with cable ready TV. This Augusta Georgia Hampton Inn - Suites hotel has a heated indoor pool and hot tub. In every room the Hampton Inn - Suites Augusta West hotel in Georgia has a 27-inch cable TV internet connection one cordless and one two line phone refrigerator microwave coffeemaker hair dryer in-room safe iron full size ironing board desk and work chair. All guest rooms have keyless card entry system and 11 of the 83 rooms have whirlpool tubs. For Georgia hospitality the Hampton Inn - Suites Augusta West hotel staff will assist with your needs 24-hours a day. 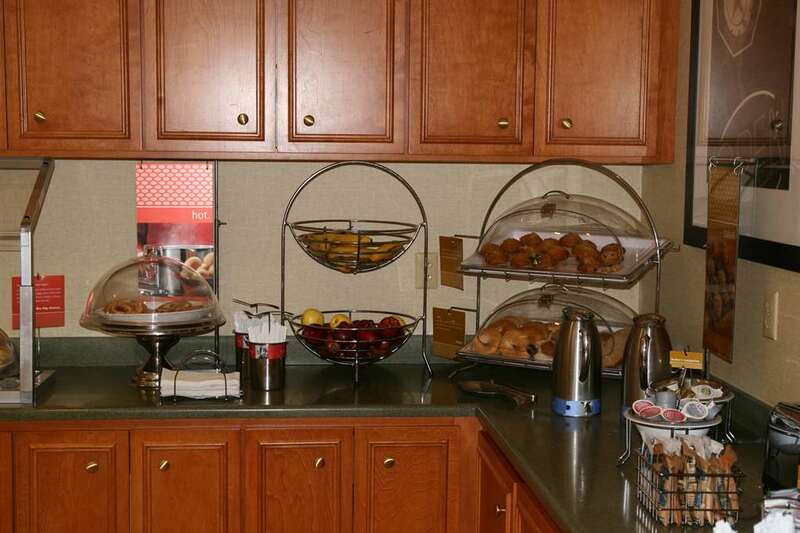 We love having you at the Hampton Inn - Suites Augusta West hotel in Georgia.